Enjoy an exciting day in the famous Sonoran desert, off-roading on some of the best trails in the stunning Bradshaw Mountains, located just north of Phoenix! 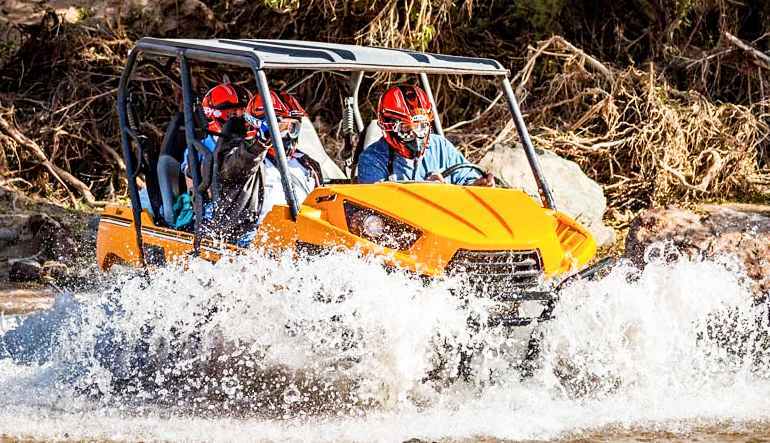 Enjoy an exciting day in the famous Sonoran desert, off-roading on some of the best trails in the stunning Bradshaw Mountains, located just north of Phoenix! Travel through giant Saguaro cacti, deep canyons carved by flash flooding rains, and cross the Aqua Fria River to experience the wild and vast desert terrain! Our tours create a scenic and educational journey amidst some of the most rugged landscapes Arizona has to offer, with opportunities to see abundant desert wildlife such as coyotes, bobcats, deer, rabbits, quail and even rattlesnakes! If you want to experience the true beauty and adventure of the Sonoran Desert, this is the perfect activity for you! 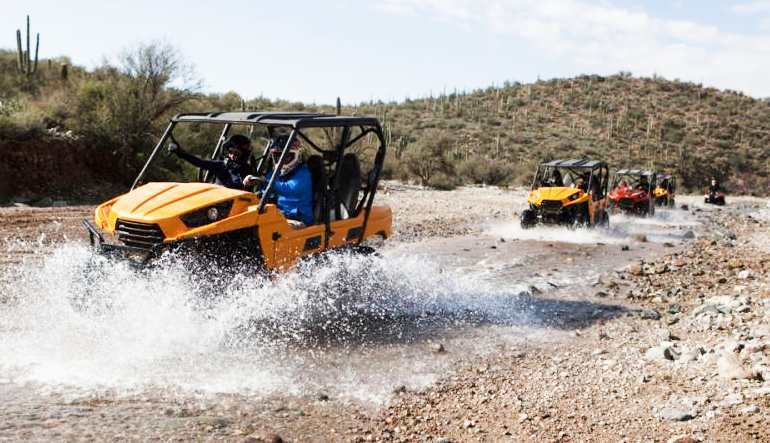 Your guided UTV tour begins approximately 45 minutes north of Phoenix in the Sonoran desert near the Agua Fria River Valley. This area, amidst the beautiful Bradshaw Mountains, is perfect for off-roading. There are creek crossings and places for wash riding, ghost towns and abandoned gold mines, as well as gorgeous views of the Arizona landscape. You’ll be accompanied by a certified guide with a vast knowledge of the plant life, wildlife, history and climate of the area. You can hear stories about the Native Americans who once farmed, hunted, survived and evolved in this unforgiving desert. Depending on trail conditions, you can enjoy 600 year old ancient ruins and a turquoise mine! Wonderful experience. One of the best outings on our extended vacation. The staff and equipment were outstanding!!!! I would highly recommend. If we find ourselves in the area again - we will book another outing with this company. Receive $15 OFF when you spend $79 or more in one transaction. Simply enter the promo code at checkout. Limit of one promo code per purchaser per transaction. Not valid for Gift Certificate redemptions or in conjunction with the $250 Gift Certificate promotion.